Want a collection for your boys? 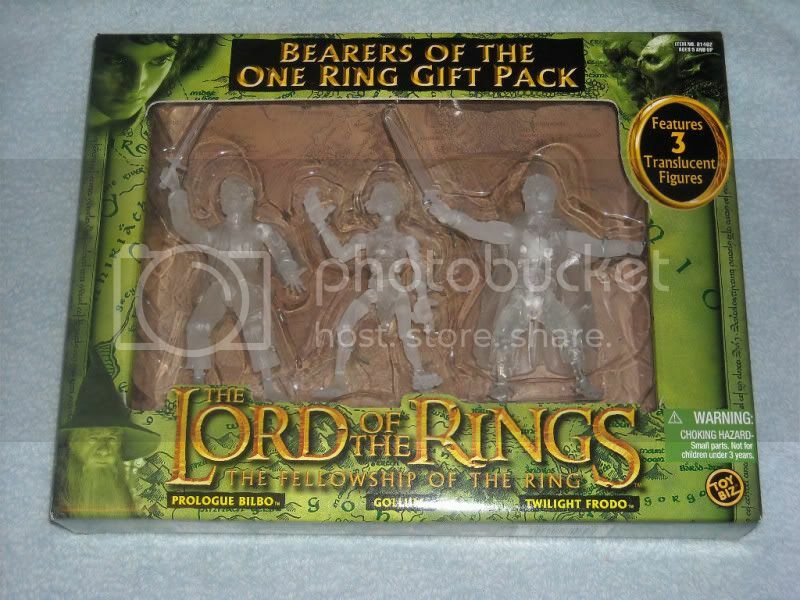 Well if you want the old LOTR figs, or at least a decent sized set of them, I'd probably let it go at a decent price just to free up space. I just don't have the room or sanity for a wide variety of toy lines. It'd be kinda nice to know kids were enjoying them too. Cave troll included! No, it was a twilight (transparent) version of Frodo. And that was actually one of the hottest figures in that Toy Biz line. However they never did Bilbo that way. Oh, sorry, you're right, Frodo. Still, it's just the same territory being covered again because, really, a clear figure is a clear figure. Plus this is the 6" fig, where's the look at the 3.75" stuff? Toy Biz did a clear Bilbo in a TRU exclusive set with clear versions of Frodo and Gollum. I'll see if I can find a pic. I got it for like four bucks at my local TRU, so I know it's real. Even though I have this one, I'll probably try to get the new one. The Fwoosh has a cuple pics up,not sure if they're the 6 inchers or the 3.75 ones, but they look unexpectedly nice. If the 3.75 ones look this good, then count me in for the lot of em. I believe those are 3.75", and if they are I'm right with you on that GtGM... Those look really good. Far better than I anticipated. Damn. Those look fantastic, and looks like a winner for the 3.75 scale fans! yeah,if those are 3.75 inch then they look great - and count me all in! I gotta see the rest. 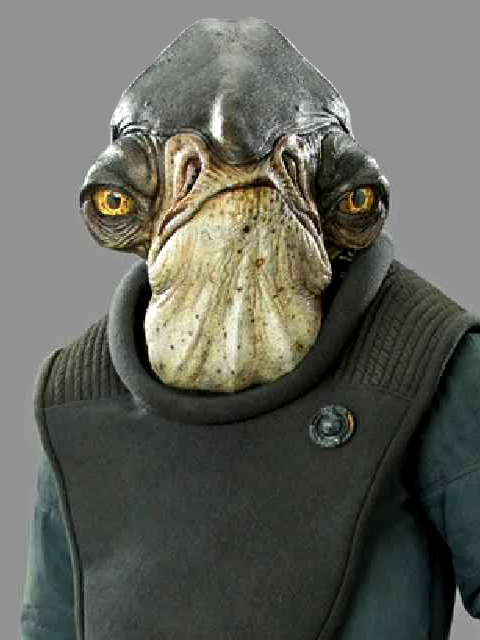 If the bad guys look this good, resistance is probably futile. I think the Bilbo, at least, is a 6" figure because if you compare it to the 6" clear SDCC exclusive, it looks pretty identical. Not sure on scale either, but either way, they look pretty nice. 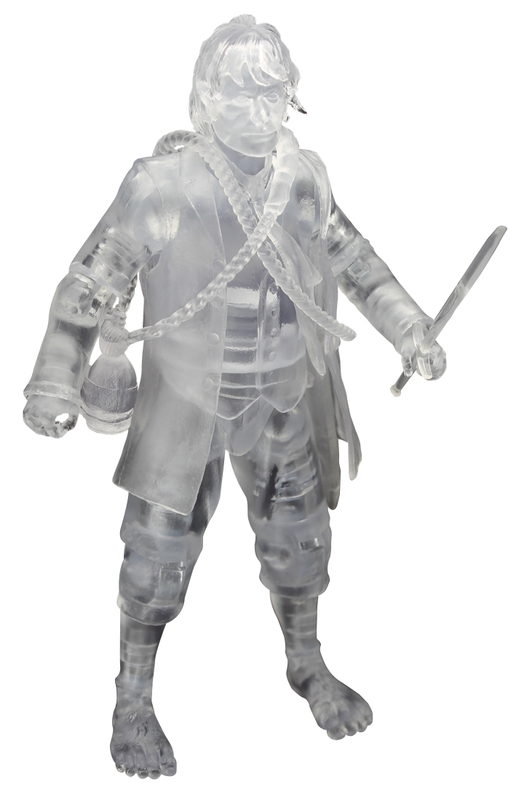 Like efranks mentioned, the clear exclusive is supposed to be 6", and the regular version looks pretty similar, so maybe they are 6" versions. They do look good though. I hope they have a pretty big lineup shown at SDCC, I would guess that they would seeing as these should hit in a few more months. I originally thought I'd stay away from these as much as possible, but now seeing these pics, I'm interested. I didn't get in on the LOTR stuff on the "ground floor" and ended up with about a dozen figures from the various lines and always wished I had gotten in sooner (and had the room). I may just bite the bullet and start in with these, but not sure what scale yet until we see more pics. 3 3/4" (if they look this nice), likely in for quite a few, 6" (due to space limitations) maybe just a few. Definitely looking forward to learning more at SDCC.